Pooling in the Pacific: has it worked? This post, which is based on our submission to the Pacific Plan review, draws on research undertaken on the experience of pooled regional provision of public services in the Pacific Island region. Pooling is a response to the smallness of Pacific Island countries (PICs) and their limited capacity to deliver certain government services. An example of pooling is the provision of university education by the University of the South Pacific (USP). Reflective of the great interest in pooling at the time of the formulation of the Pacific Plan, the ADB and Commonwealth Secretariat produced a study in 2005: Towards a New Pacific Regionalism, which provided a cost-benefit analysis for various promising pooling proposals. Surprisingly, there has been no study since 2005 on whether the pooling initiatives thought promising then had actually been attempted and, if so, how they have performed. Hence our study, which examined 18 pooling initiatives/proposals. This post, and our submission, summarises early findings from that study, which will be finalised in the coming months. Overall, our finding is that success is mixed. The pooling “experiment” should not be written off as a complete failure, as seems to often be the attitude. But nor have earlier, ambitious expectations been met. Pooling is difficult. The voluntary nature of pooling means that each member needs positive net benefits to join and remain in the club. Pooling has been proposed, investigated, designed, trialed or implemented in the Pacific in a wide range of policy domains including education, health, transportation, economic governance, resource management, government procurement and trade policy. The Pacific Plan has led to an acceleration in pooling. Pooling was attempted eight times between 1965 and 2005. From 2005 to early 2013, a further seven initiatives have reached the feasibility study stage and five have moved into implementation. The approach to pooling varies widely; a ‘patchwork’ of services provided on a regional basis has evolved over time. The participation of countries in ‘clubs’ differs: the Forum Fisheries Agency (FFA) includes all Forum Island Countries; the sub-regional component of the Pacific regional audit initiative comprises only Kiribati, Tuvalu and Nauru. Some pooled services are funded predominantly by membership fees and service charges. Others are primarily donor funded. The eclectic approach to pooled service provision has both weaknesses and strengths. There are efficiencies from managing pooling in a more uniform way under a single supra-national organisation. However, the patchwork approach is also highly pragmatic, and on balance preferred. Pooling progresses where demand is greatest and resistance is least, leading to a flexible approach that does not confine PICs to a single service provider indefinitely. Pooling initiatives have had different origins. Some attempts at pooling have emerged from regional cooperation mechanisms, for example, the FFA and the Pacific Regional Audit Initiative (PRAI). The more common experience has been the spontaneous launch of a pooled service delivery, often funded by a major donor. For example, USP was established in 1968 with the gift of a former New Zealand military base in Suva for the purpose of establishing a regional university. Our study found that pooling is more successful when the service is genuinely regional in nature and has public good characteristics. Fisheries management and licensing is an example of a regional public service that has benefited from pooling. This example also highlights the strong links between cooperation and pooling. Effective management of ‘common-pool resources’ such as tuna stocks has required both regional cooperation and pooling of related services. The flexibility of regional arrangements for fisheries management has been important here; fisheries organisations have played different roles in promoting regional cooperation and providing pooled services. It is clear that pooling initiatives, to be workable, need to be financially sustainable. Pooling must be supported and owned by key stakeholders, including Pacific Island governments and donors. Pooling initiatives have struggled or failed where these criteria were not met; either due to under-capitalisation or lack of agreement among stakeholders. In several of the initiatives studied, leadership and management were important factors in how the pooled entity performed. Changes in markets and technology have also been highly influential. Those entities that have been able to adapt to changes in the market have had greater longevity. Changes in technology have in some cases made pooling more viable. The FFA now uses satellite and GPS tracking devices to monitor the location of vessels registered to fish in the waters of PICs; something that was unthinkable when the FFA was established. Such changes will continue to influence pooling in the future. Faster internet speeds, in particular, will enable the remote provision of services such as tertiary education and healthcare. What does this mean for the Pacific Plan? A refreshed Pacific Plan needs to be realistic in its ambition. Pooled services are likely to only ever comprise a very small proportion of the Gross Domestic Product of PICs, and will never be a panacea for the challenges faced by small island states. It is important to bear in mind that the inability to launch a proposed pooling initiative is not a failure. If feasibility work (for example) and inter-governmental discussion conclude that the regional service delivery is not practical or efficient, the decision not to proceed is a success of good public policy development. Past experience with pooling in the Pacific emphasises the importance of good public policy formulation. The failure of regional initiatives such as the Pacific Forum Line or Air Pacific has been costly for governments and development partners. Pooling initiatives need to be subject to rigorous scrutiny, requiring heavy investment in identification and feasibility studies, design, pilots and monitoring and evaluation. An effective approach to pooled service delivery will inevitably result in a ‘patchwork’ of regional and sub-regional initiatives. This is to be welcomed as it increases the chances that pooled services meet the needs of member states. 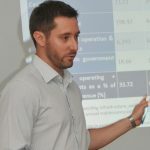 Matthew Dornan is a Research Fellow at the Development Policy Centre. Tess Newton Cain is a Research Associate at the Centre. Stephen Howes is Director at the Centre. A review of the Pacific Plan was announced by the Pacific Islands Forum Leaders at the annual meeting in the Cook Islands in 2012. Submissions closed on 15 May 2013. 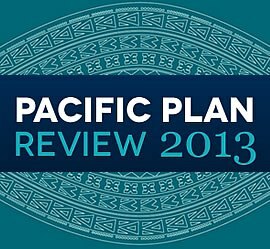 The full review is expected to be released at the next meeting of the Pacific Islands Forum in September 2013. The full submission, on which this post is based, is also available on the Devpolicy publications page here. Matthew Dornan will give an update on this research at the 2013 Pacific and PNG Update on Thursday 27 June 27. Program here.